It’s a common enough experience. You’re happily playing away when suddenly your tone splits into two different pitches. Usually it’s only a simple missed attack and you can instantly correct and hold the pitch stable. Sometimes this happens around a particular note and starts to get impossible to hold the the pitch without the tone splitting. It might even get to the point where you’re so worried about this that every time you get to that pitch you mentally or even physically flinch, which just makes the problem worse. Having had this problem myself a couple of different times I can really empathize with brass players who are having this trouble. Not understanding what exactly is going on can make it challenging to figure out what to do. Sometimes the solution that seems obvious only makes things worse and sometimes it goes away on its own, only to come back later. While I’m sure there are many possible culprits, in my experience a double buzz is likely to be caused by one of the following scenarios. Have you ever felt nervous just before a very important performance? Have you ever felt so anxious that you literally couldn’t catch your breath as you started to play? It’s so tough to stop that “fight or flight” breathing once it’s started, because it’s a natural biological response. It also makes it harder to play a brass instrument. This is a new video. It’s a quick summary of the three basic embouchure types. I wanted to have something that was very brief, but covered all three types. YouTube user “Suiram1” has uploaded a video of his embouchure. Suiram1 asked if I had any comments for him. It’s a pretty short video, and it’s very difficult to diagnose or suggest anything without being there in person, but I thought I’d point out some things I notice. 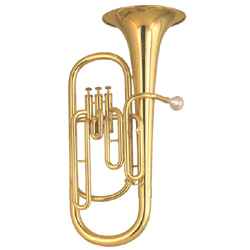 If you look around at a number of different resources for brass players and teachers you will notice that while there is a general consensus on topics such as breathing, there is a lot of contradictory advice on brass embouchures. In the above video I look at five commonly held myths about brass embouchures. 1. If you want to sound like a famous player you should use the same embouchure as that player. If you want your students to have a well functioning embouchure, they should use the same embouchure as you. Most players and teachers seem to feel that the embouchure that works well for them personally must be the correct one, so they instruct others to play similarly. Sometimes students who emulate a famous player believe the key to sounding that good is to adopt the same embouchure as that player.